A tribute to Stan Lee, the co-creator of Marvel superheroes such as Spider-Man, Iron Man and The Hulk, is currently on display at the South Branch of the Livingston Parish Library, located at 23477 La. Hwy. 444 in Livingston. Lee passed away on Monday, Nov. 12. 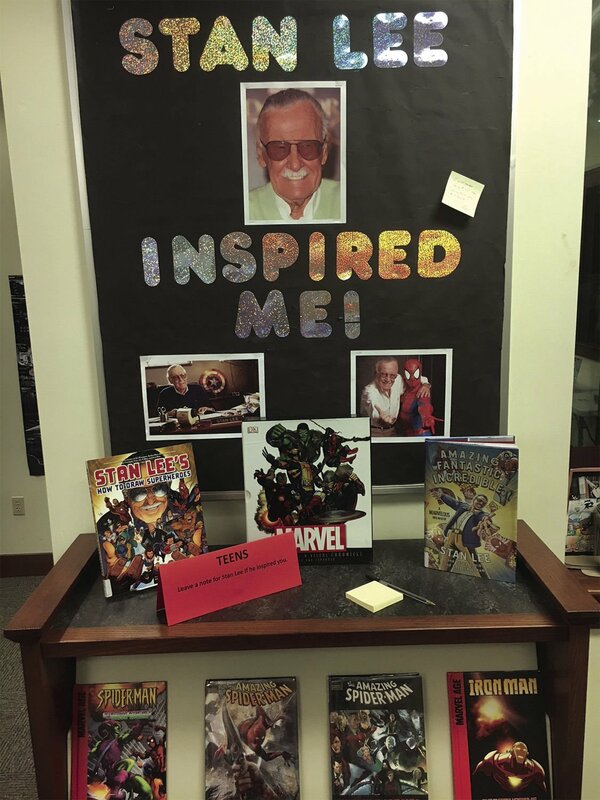 A tribute to Stan Lee, the co-creator of Marvel superheroes such as Spider-Man, Iron Man and The Hulk, is currently on display at the Watson Branch of the Livingston Parish Library. Lee passed away on Monday, Nov. 12. The man behind some of the most iconic characters in comic book history has passed, and the Livingston Parish Library is doing its part to honor his memory. The library’s South Branch and Watson Branch recently unveiled tributes to Stan Lee, the co-creator of Marvel superheroes such as Spider-Man, The Black Panther and The Hulk who passed away on Monday, Nov. 12. In the display are books, DVDs, and video games featuring some of Lee’s most popular characters, including Thor, Doctor Strange, Iron Man and Wolverine. Lee’s comic book career started in the early 1940s and carried on until his death this week. In addition to being Marvel Comics’ primary creative leader for two decades, he frequently made cameo appearances in movies based on those characters. Library patrons can visit the displays during normal hours of operation. The South Branch is located at 23477 La. Hwy. 444 in Livingston, and the Watson Branch is located at 36581 Outback Road.